The 2015 Chevrolet Silverado 2500HD pickup truck is available now at Bradshaw Chevrolet Buick GMC Cadillac in Upstate South Carolina! 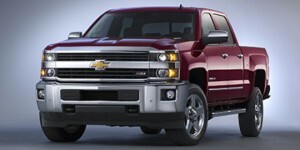 The Silverado 2500HD has been redesigned for the 2015 model year! The new 2015 Cadillac ATS Coupe is, like every Cadillac, all about luxury. This time, however, it’s especially about connectivity. With the addition of OnStar 4G LTE and a brand new CUE Collection of applications, the ATS Coupe is one of the most connected Wi-Fi hotspot-on-wheels on the market. All it needs now is a limo version. 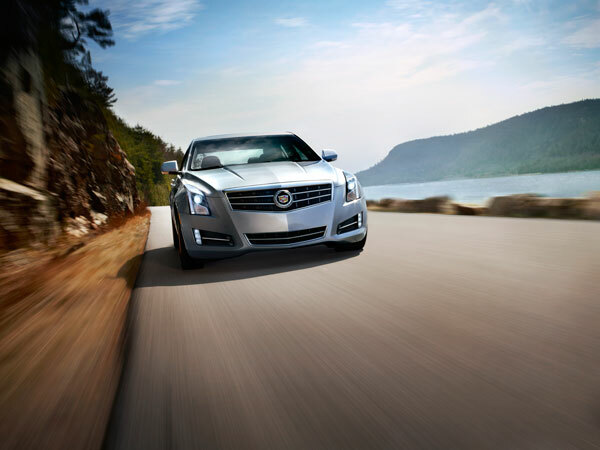 The updated 2015 Cadillac ATS Coupe will feature the latest in car connectivity features! The faster, more reliable 4G connection is a step up from the 3G system in competing models, allowing passengers to access online content and information more quickly. This includes better in-vehicle app responsiveness through the CUE Collection, which is a comprehensive suite of goodies to make driver and passenger life that much better. At launch, apps expected to make it to CUE include iHeartRadio, NPR, Slacker Radio, and The Weather Channel, with more coming later. It also includes enhanced Text-to-Voice for smartphone users as well as Siri Eyes Free integration for iPhone owners. In addition to the 2015 ATS Coupe, this new tech will roll out to the entire Cadillac lineup throughout the second half of the 2014 calendar year. Don’t miss it at Bradshaw Cadillac! Are you a first-time car buyer looking the right vehicle to serve your lifestyle needs? Chances are, you’re already overwhelmed with all the options currently available on the automobile market. So many factors can influence the car that you choose; interior space, safety features, entertainment technologies, fuel economy and overall price are important to consider when car shopping. The 2014 Chevrolet Spark is the perfect car for the first-time buyer! Luckily, there’s a car on the market today that covers all the needs of new car drivers: the Chevrolet Spark. Here is a list of reasons the Spark is perfect car for the first-time buyer. Great Fuel Economy: As a first-time car buyer, money is likely tight for you. Between paying bills, buying food, housing yourself and repaying college loans, spending a fortune on gas is the last thing you want to worry about. 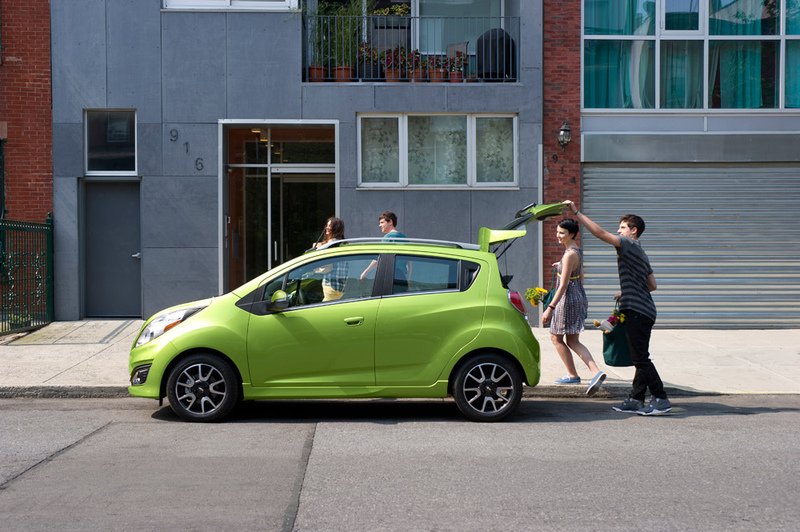 With its 31 MPG city and 39 mpg highway EPA-estimated fuel economy, the Chevrolet Spark will help you save greatly at the pump, allowing for one less stress item in your monthly budget. Compact Size: The Spark’s compact size makes it both fuel efficient and easy-to-handle, making it a great choice for new car buyers. Foregoing the extended second- and third-row seating that is typically reserved for family vehicles, the Spark’s hatchback design still offers plenty of cargo space and seating for up to four passengers. Great Features: Standard safety, comfort and entertainment features on the 2014 Spark include a Driver Information Center with vehicle stats and tips, an AM/FM audio system, anti-lock brakes, Hill Start Assist, stability control and OnStar. Upgraded trim levels include other great features like Chevrolet Mylink, Bluetooth, Remote Keyless Entry, cruise control and much more! Affordable Price: The base-level 2014 Chevrolet Spark has an MSRP of just $13,480, a price that is sure to fit into your budget without breaking your bank account! Don’t step into your first car-buying experience before checking out the facts! Call Bradshaw Chevrolet Buick GMC Cadillac in Greer, SC today or visit our website to schedule a test drive in a new Chevrolet Spark and find out all the Spark can offer you! There’s almost nothing cuter than watching a one-year-old demolish a cake on his or her birthday. And General Motors is now celebrating the first birthday of the Buick Encore. Though unless you’re planning on smearing cake all over your Encore (which we don’t recommend) we won’t see any messy cake-face pictures. This first year has been a remarkable one for the Encore. 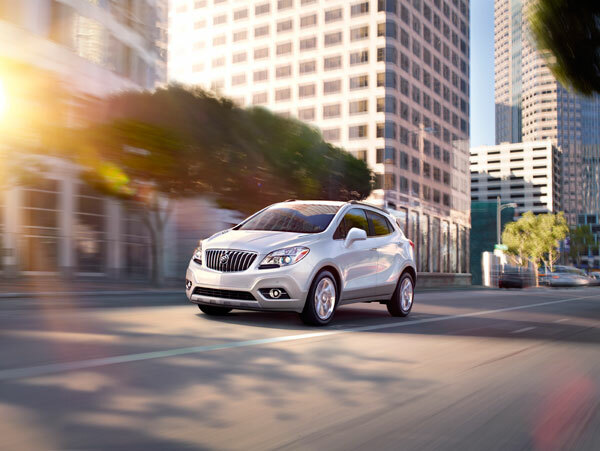 It has changed many people’s perceptions of the Buick brand and has become a successful conquest vehicle—nearly half of all Encore buyers are coming from a non-GM brand. The Buick Encore is now 1 year old! In its first year, the Encore sold 97,311 vehicles worldwide. What made it so successful was its ability to stand on its own. It filled a void in the crossover segment by being one of the first luxury compact crossovers available. Want to join in the Encore celebration? Come down to Bradshaw Chevrolet Buick GMC Cadillac and give the Buick Encore a try.